When you first listed your Lake Havasu home on the market, you had tons of traffic at your door. However, no offers came in. A few weeks have gone by and still nothing. Maybe it's because of the holidays. Perhaps it's something else. Breathe new life into a stale Havasu home listing by utilizing these helpful tips. 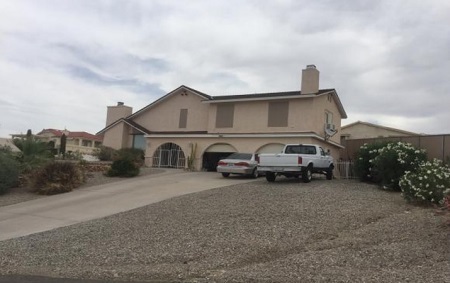 One thing tops the list for why a Havasu home has been on the market for a while: price. If you list for too much, buyers won't bite. The market dictates prices, not the seller. Talk to your Lake Havasu REALTOR@ about current market trends. Have them pull comps for other homes in your neighborhood. Be prepared to lower your list price if you need to in order to get it sold now. One of the things I talked about a couple of weeks ago in my "What NOT to Do When Selling Your Havasu Home" post was to skip out on the cleaning and decluttering. Once you actually do get those things done (like you should), you need to stage your Havasu home. You may have to move furniture from one room into another. Or, get rid of big pieces all together and put them in storage. Go through each room and rethink how best to dress it up to appeal to as many buyers as possible. Remember KISS: Keep it Simple, Silly. If it's in the budget, you may want to hire a professional to do this job. This small investment up front will bring in big rewards in terms of time and money down the road. Next, walk through your Havasu home with the eyes of a buyer. You've had no problem living with a squeaky door or dripping faucet. But, will a buyer overlook these things? No. 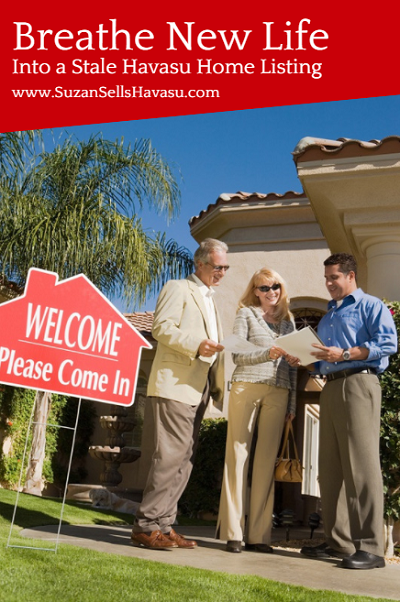 Little issues send up a red flag for buyers. After all, if you couldn't be bothered to fix the little things, what bigger problems lurk within these walls? Finally, you may want to try to lure in buyers by offering incentives. One common incentive is to offer credit towards closing costs. Another may be to pay the first year's HOA dues. Yet another incentive may be to pay points. This reduces the buyer's interest rate on their loan. For some buyers, any of these could change a "maybe" to a "definitely" in terms of making your home their own. Speak with your Lake Havasu REALTOR@ to see what incentives they think may help.